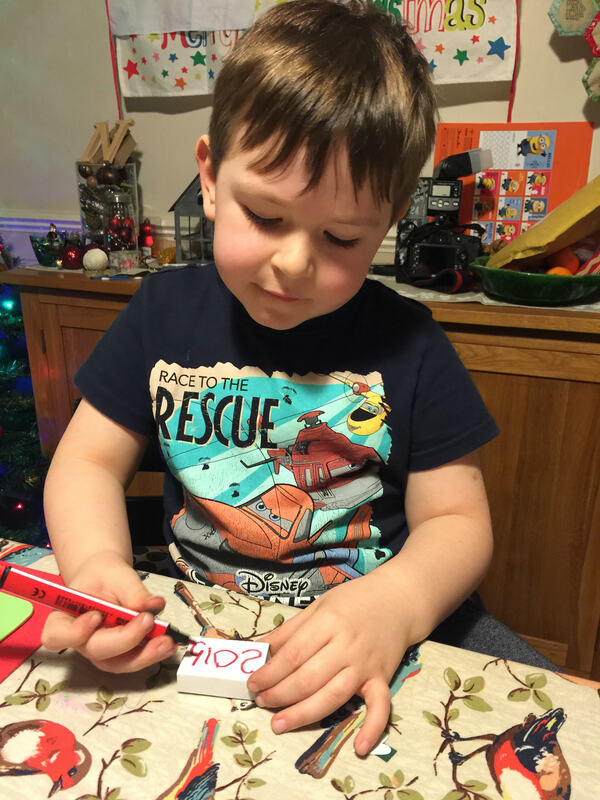 Even on Boxing Day my children wanted to do some crafting! Luckily we were at home so we were able to raid our craft supplies to make some sweet confetti boxes for New Year’s Eve. There’s no way my children will be staying up to see in the New Year but that doesn’t mean we don’t want to mark it in some way. Stay tuned for a couple more New Year’s crafts I’ll be sharing this week. This is a really quick and easy craft so just use whatever you have to hand. We made our own paper confetti using paper punches, a hole punch and an assortment of coloured paper and card, the shinier the better. Make enough paper confetti to fill your match box. Decorate your box with words, the year, or stickers. The idea is that on New Year’s Eve you can celebrate by throwing your confetti in the air. I’m going to let my children throw theirs before bedtime but I’m sure it won’t be too long before they want to stay up with us. 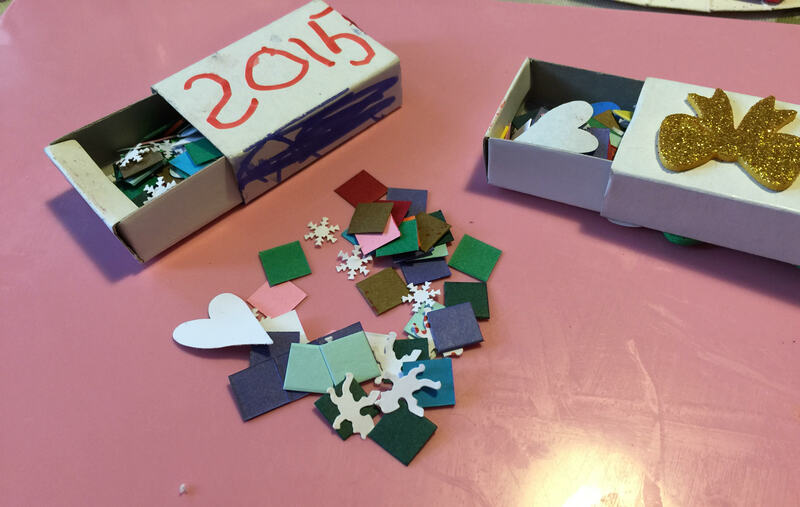 A really cute idea and a lovely way to get kids interested in seeing in the New Year. what a lovely idea ! We love crafting in this house too so will definitely try this one if we have a crafting day before new years ! if not it will be one in the memory bank for later ! Lovely idea and I bet they enjoyed making them as well as throwing them. Hope you had a good new year. lovely idea and a fun simple craft. Happy new year! 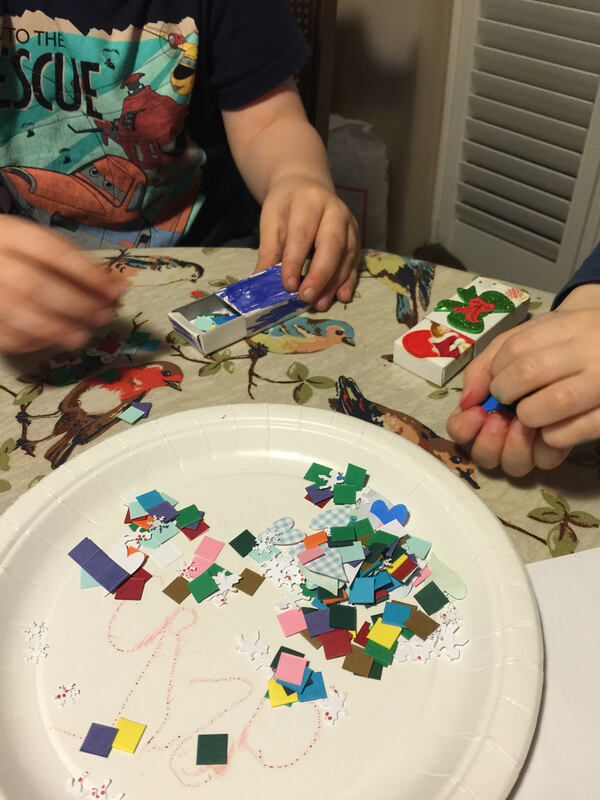 New Years Kids Activities: Simple ways to have fun at home!